Enstrom Helicopter Corp. signed a contract at Helitech International to deliver a new 280FX into France. The deal is being completed by its dealer, François Gatineau, CEO of Rotor & Aircraft Sarl. 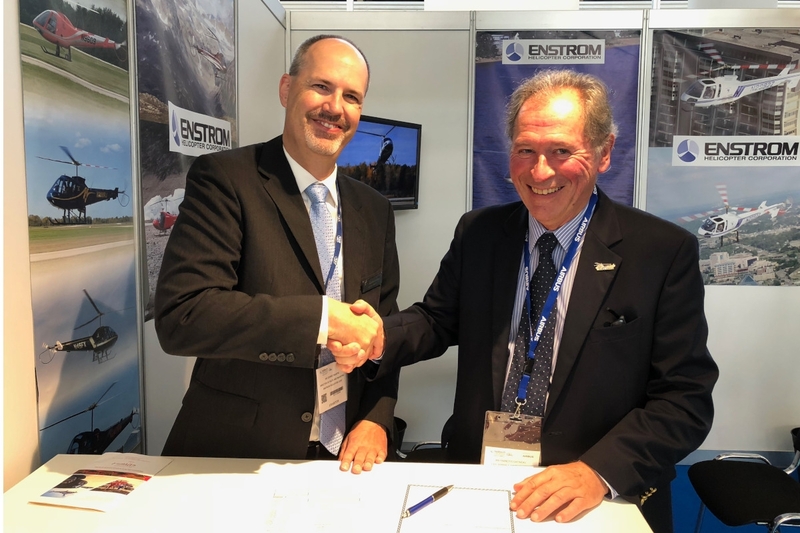 The signing took place on October 17 at Enstrom’s Helitech booth. Enstrom explains this is the last step in the process to bring the Enstrom 280FX to Golf Tango, which is a well-known ATO operating at Toussus le Noble airport (Versailles, west of Paris). Golf Tango operates several rotor craft and fixed wing aircraft and the 280FX will be used for training purposes. The Enstrom 280FX will be delivered to France in the spring of 2019.